Image Comics has yet another sell out with the debut issue of the new horror series REBEL BLOOD by Alex Link and Riley Rossmo (GREEN WAKE). The issue will immediately go back to press, and the second printing (FEB128198) will be in stores on April 25, the same day as REBEL BLOOD #2 (FEB120517). Published under Image’s Shadowline imprint, REBEL BLOOD pits fallen firefighter Chuck Neville against a contagion that is turning people - and animals - into bloodthirsty killers. Alone in a remote fire station in the forest, Chuck will have to fight his way out to save his family… or find out that he’s too late. 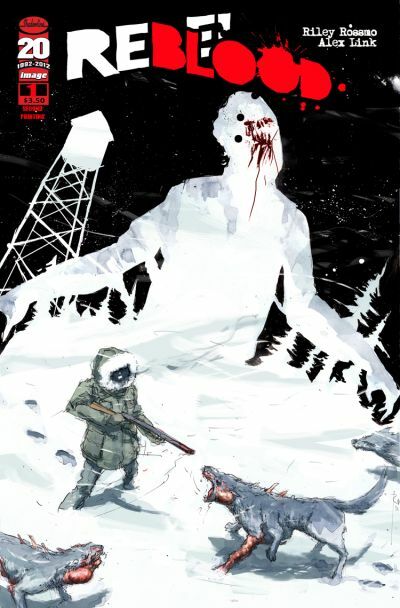 REBEL BLOOD is a monthly five-issue miniseries. It is available in comic book stores and on multiple digital platforms.